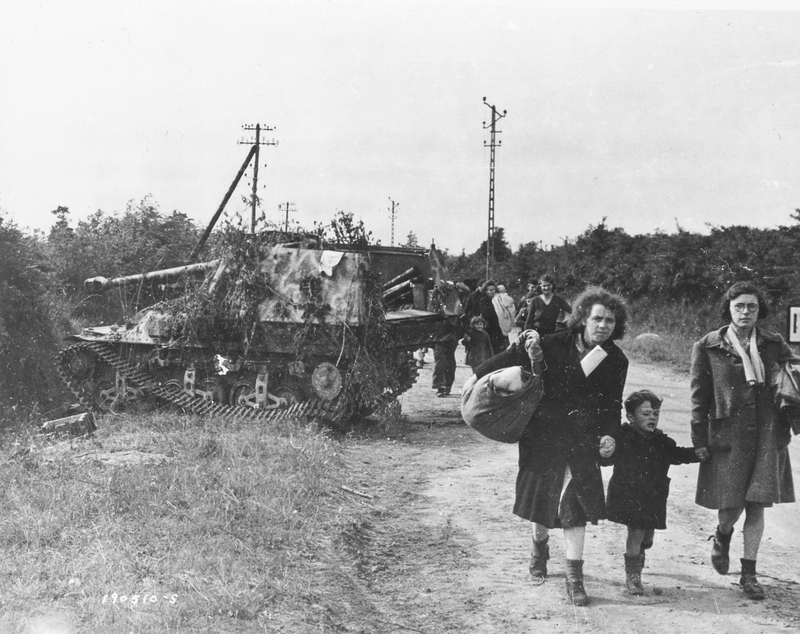 French refugees pass a wrecked German panzer jaeger Marder II as they flee the fighting in Normandy in the summer of 1944. 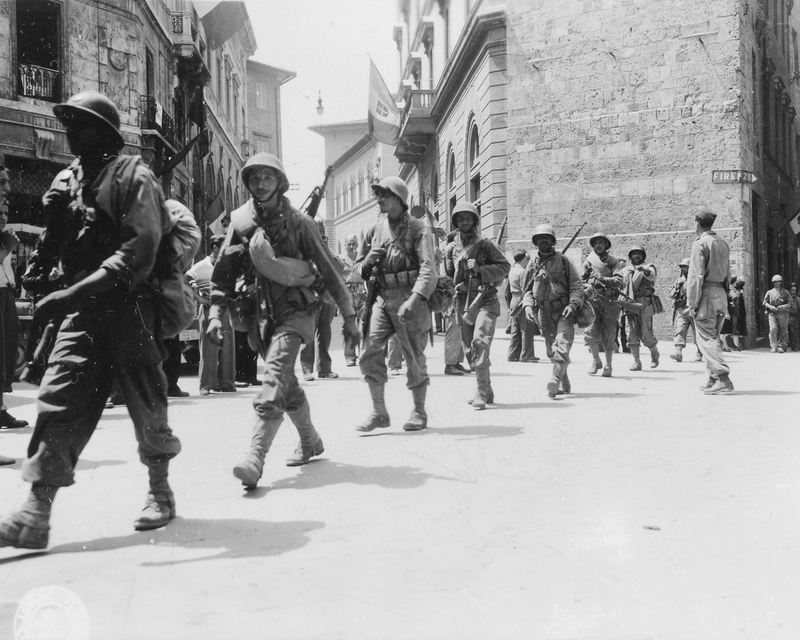 Free French Moroccan infantry in Siena, Italy on July 3, 1944.
equipping of the Free French Army, to the shared moments on battlefields from the Bocage country to the Colmar Pocket, the people of the United States and France built a common history and heritage together. And in that adversity rose a bond that exists in few other places between few other people. These photos show, in microcosm, how that bond was cemented. 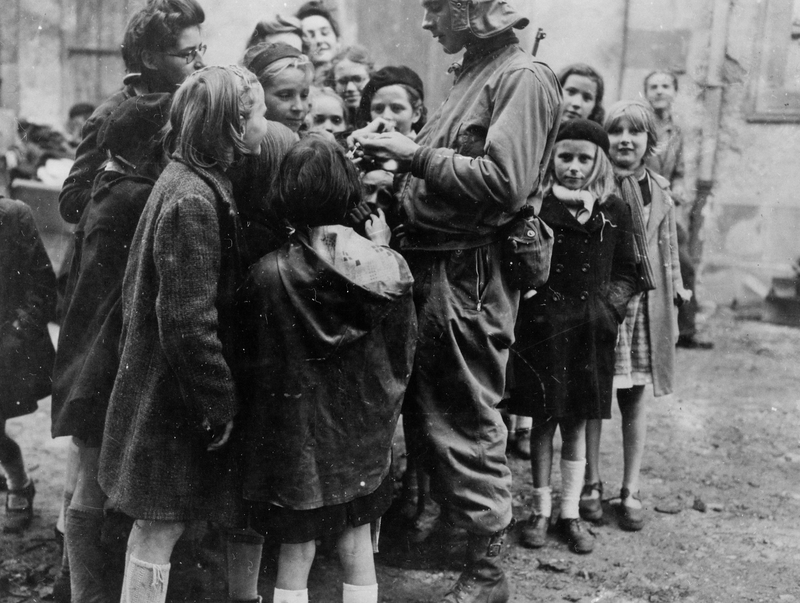 A U.S. tanker with a group of parentless French children at a Displaced Persons center in Hoyen, France on September 18, 1944. 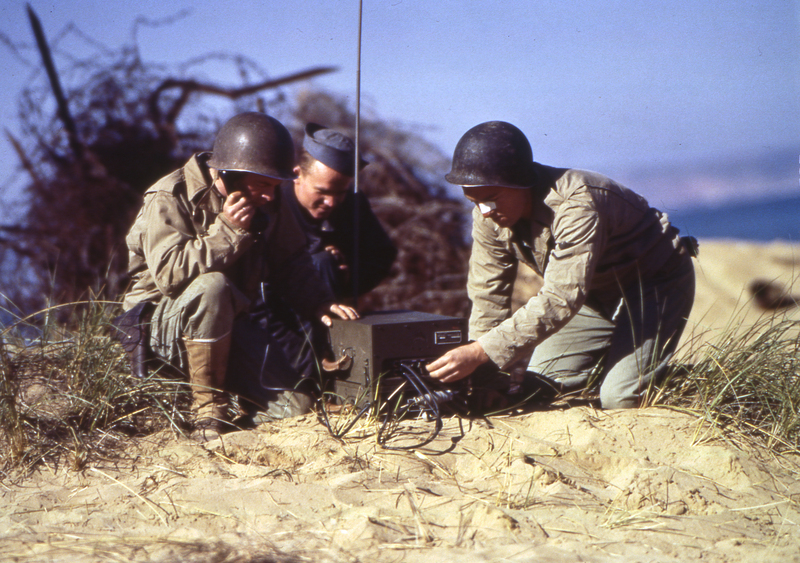 A French Foreign Legion communications team during an amphibious assault exercise in North Africa, spring 1943. 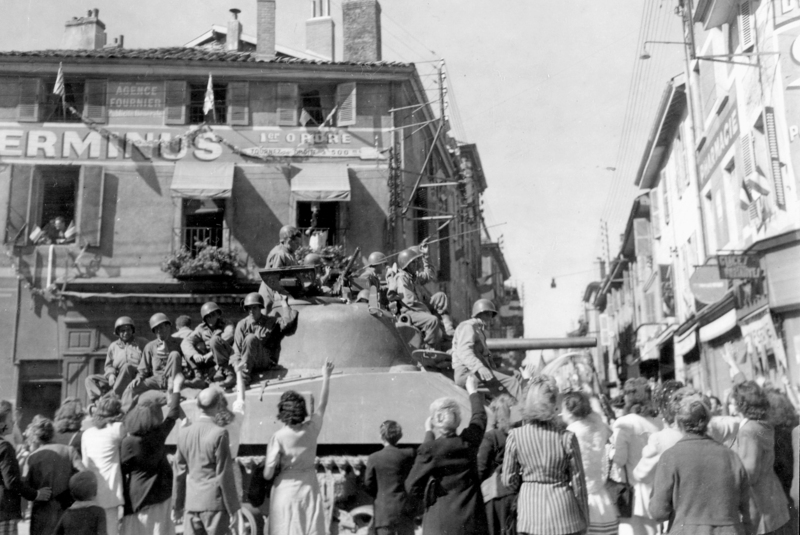 Liberation Day in a French town, care of the 45th Infantry Division. September 1944. 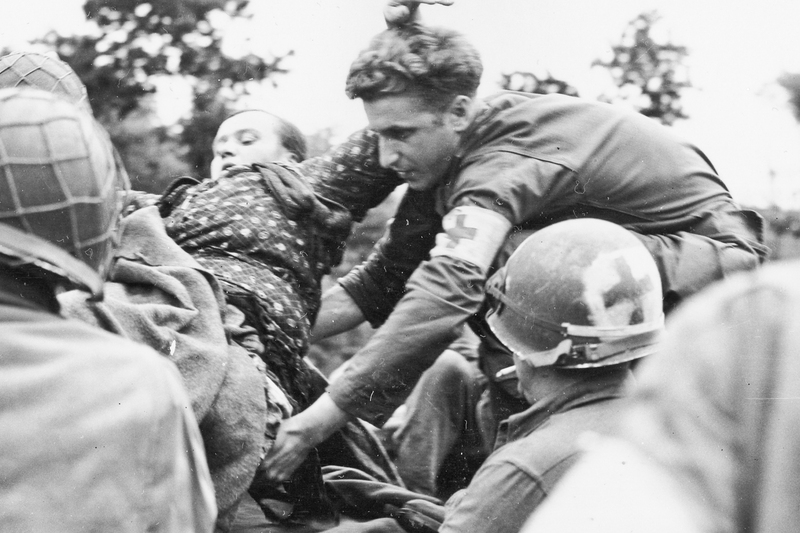 American medics from the 79th Infantry Division frantically work to save the life of a French woman who had just stepped on a German anti-tank mine. The blast severed both of her legs. Normandy, July 8, 1944. 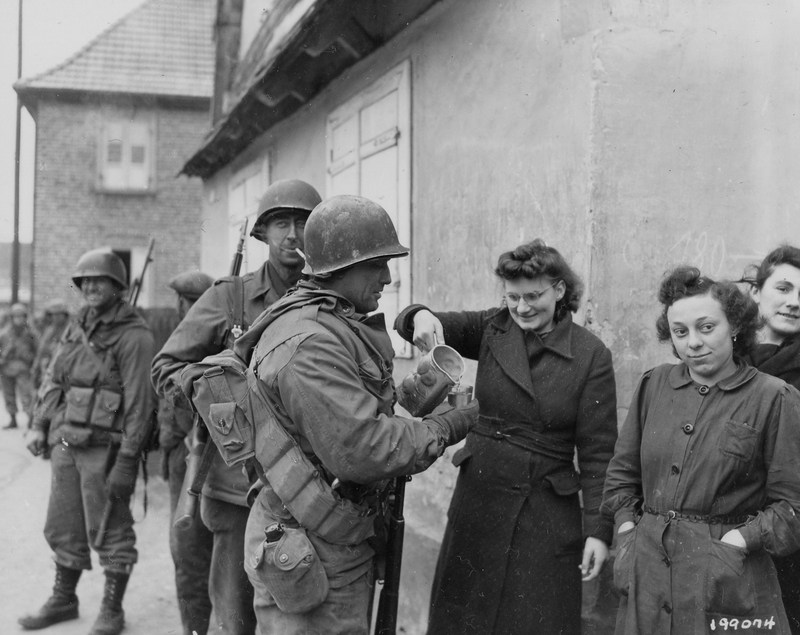 American Soldiers from the 79th Infantry Division receive wine from French civilians during a lull in the fighting around Drusenheim, France on January 6, 1945. 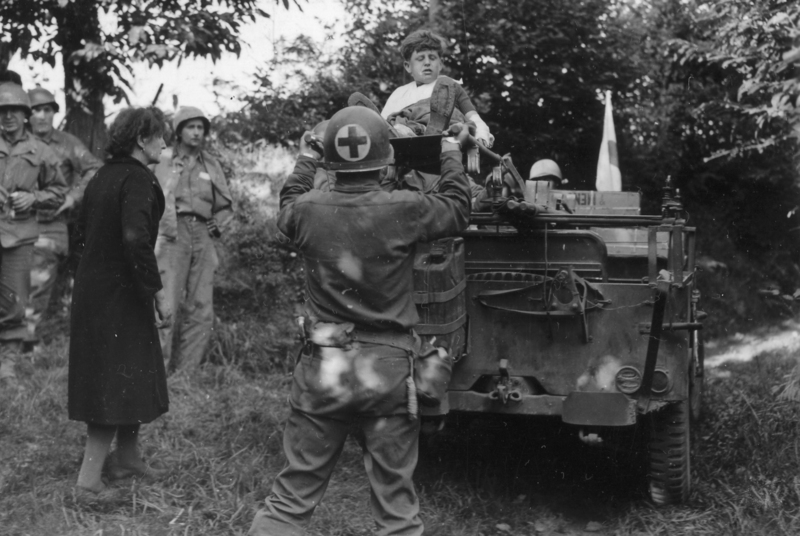 American medics gingerly evacuate a badly wounded French boy on August 2, 1944. He was hiding in a barn when the Germans set fire to it. He escaped with critical burns, but was found by advancing American troops and immediately MEDEVAC’d to the nearest aid station.